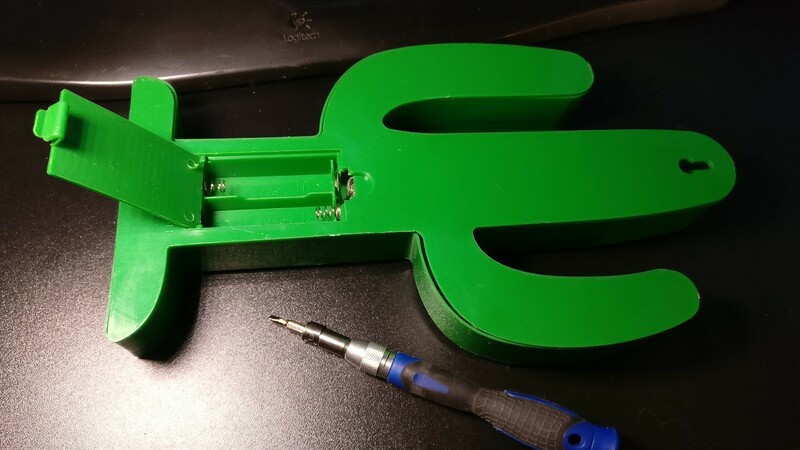 At first I took it apart to have a look at how it's wired. 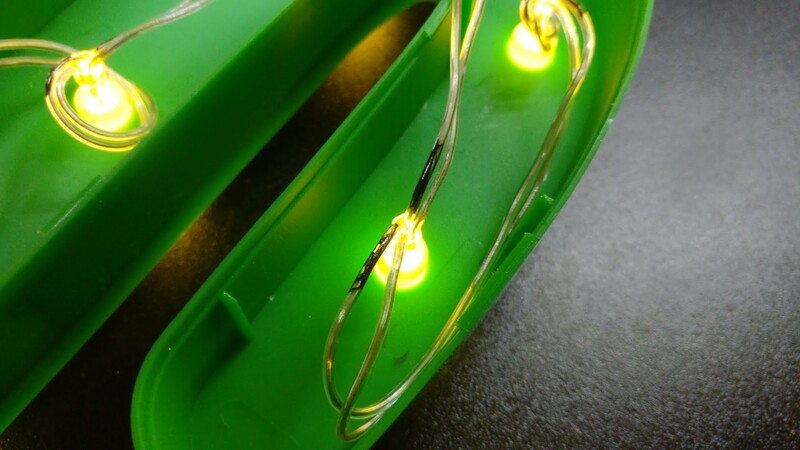 As expected it's just a bunch of LEDs wired in parallel. 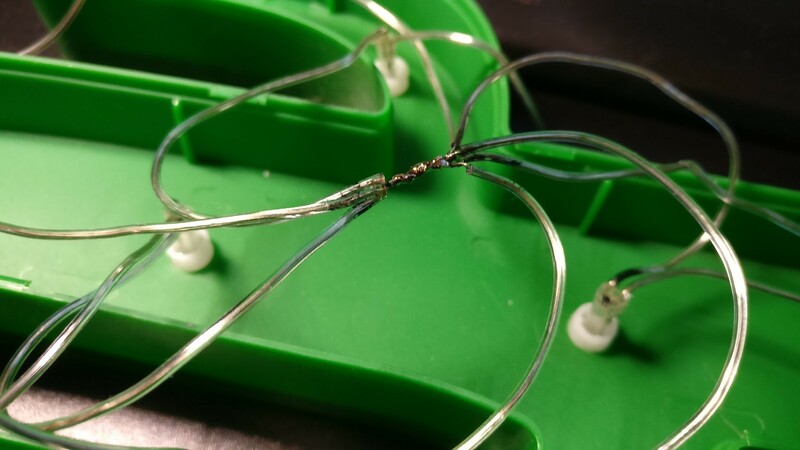 There isn't even a single resistor. 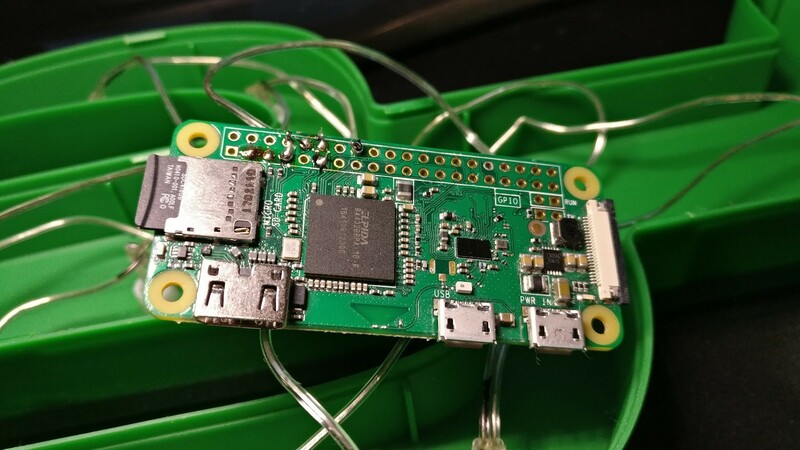 For this project I used the Raspberry Pi Zero W because it's the smallest RasPi and it has wifi built-in. 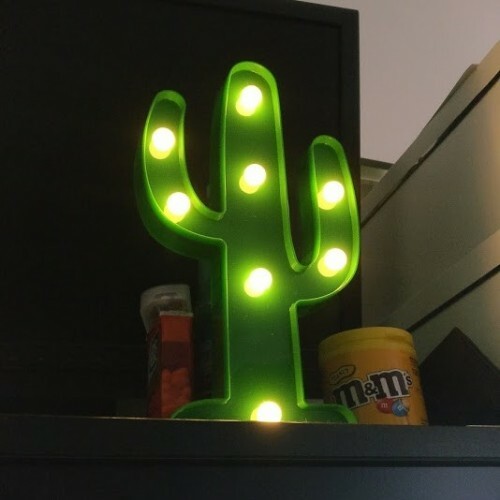 This will be awesome for hosting a small webserver that can control the LEDs of the cactus. 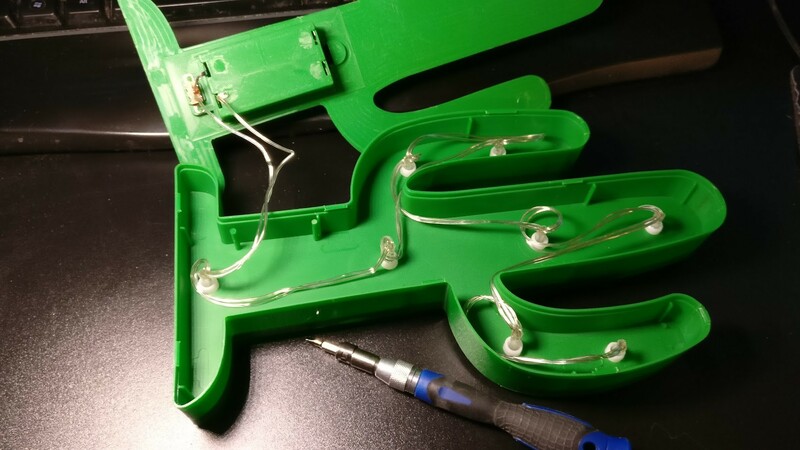 My plan is to connect all LEDs with a dedicated wire so we can control each LED individually. 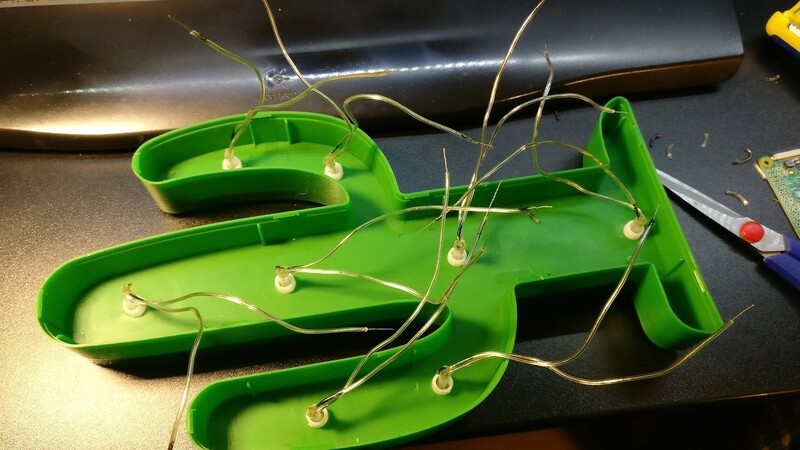 Then I cut the wires so I have one pair for each LED. 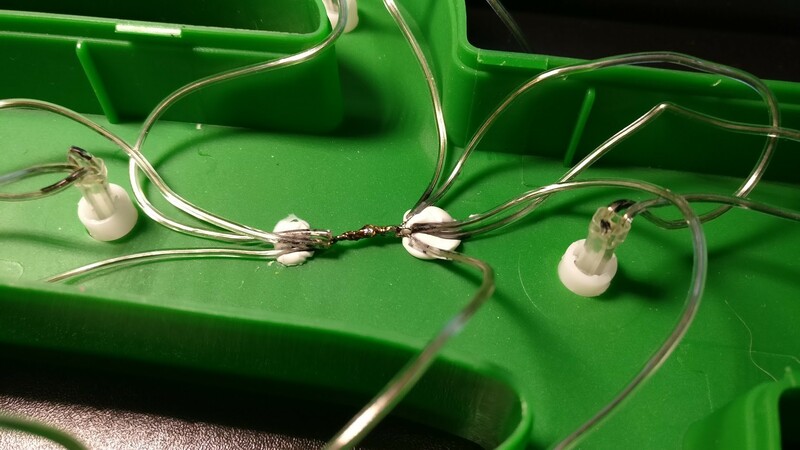 I soldered all negative wires together and glued them down to the case. 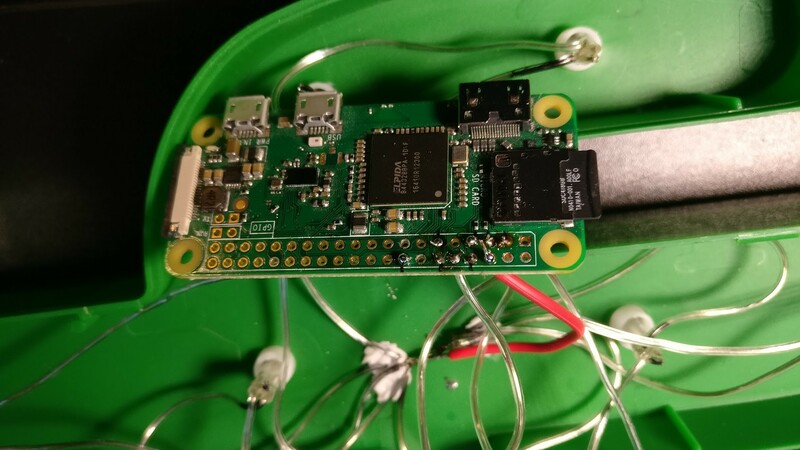 Next step is to solder the individual positive wires to the GPIO ports of the Pi. 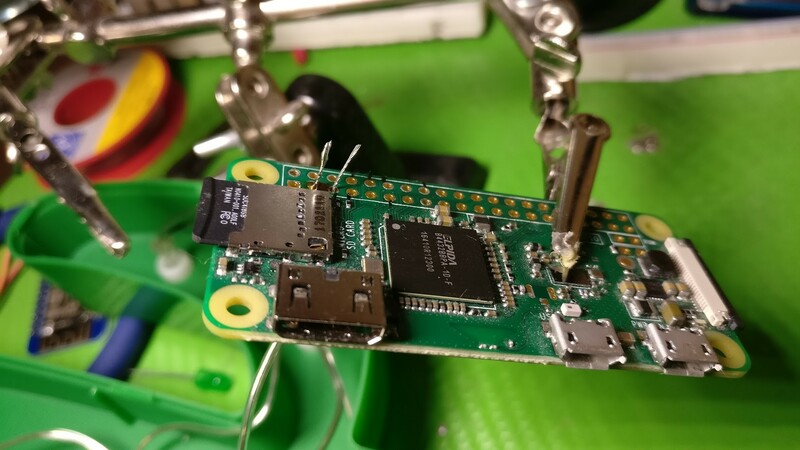 Last thing to solder is the negative wire which connects the RasPis ground GPIO to the marked black negative wires. Then add safe_mode = Off after the first line in the /etc/php5/fpm/php.ini file. Invite your friends to control it! 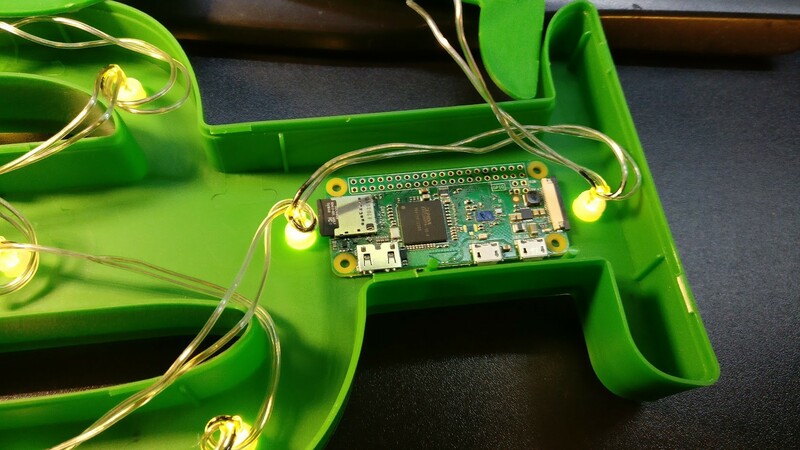 Now just go to the URL of your Raspberry Pi in your favorite browser et voilá! 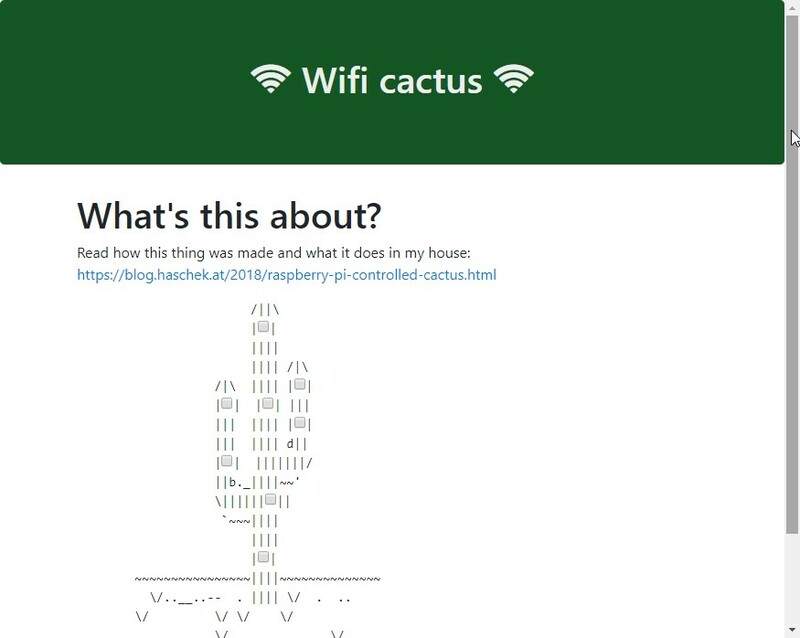 Wifi controlled cactus is now your own.